My house is a tiny little one-story house built in the great suburb boom after World War II. I’d call it a bungalow, but it’s more of a square ranch with a basement. Although my house is a good house, it’s a heat box. It holds onto the heat and never wants to let it go. And because it’s a square, there is little to no air flow through the house. While it’s nice in the winter because my heating bills are minimal, the summer requires my AC to work overtime. He explained to me how the attic is the culprit, and that in addition to reinsulating up there, we had to get more ventilation. But in order to get more ventilation, we may have to redo the roof because of our eaves, and that’s out of scope for our budget. Well, that’s a perfectly reasonable explanation to a normal and sane person. But I’m a bit off. If there’s something I’m curious about, I have to learn how to do it myself. I have to read about it, understand it, digest it, darn near become an expert in it. It can be a bit tiresome for my loved ones, I know, but at this point in my life I’ve been alive longer than I have left to live (or so it feels), and I don’t see myself changing any time soon. If there’s one thing I’ve learned from all this research, it’s that venting your attic is a controversial subject. Some builders believe that venting is the only way to go, while others believe that you can get better and more efficient results with unique insulation techniques. There are pros and cons to each, and the only way to really know what’s right for your home is to consult a general contractor. The information I’m going to share is about the benefits of attic ventilation. 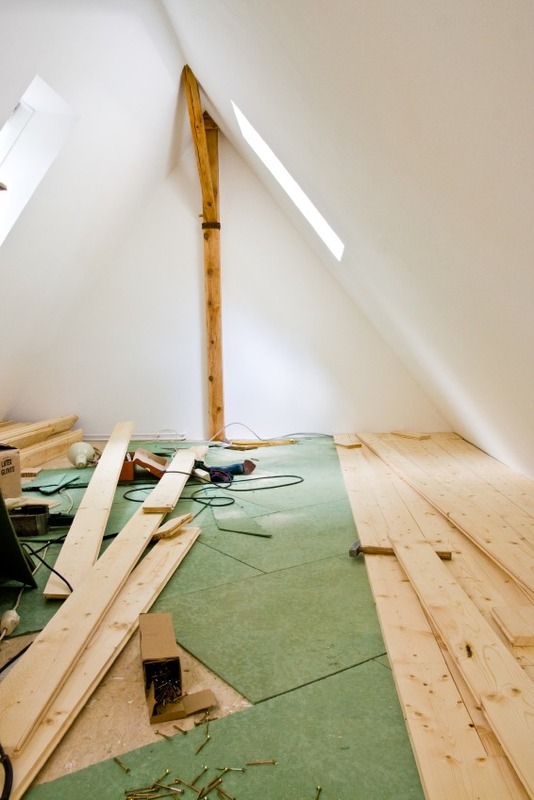 One of the most important and misunderstood features of a home is its attic. Think of the attic as the hat of your house. It keeps all the heat in – or out – depending on the season. The attic also helps support the roof. Now, sure, there are people who have turned attics into bedrooms or offices, while some people have those really cool attics that look like antique stores full of things like old maps that show you how to get One-Eyed Willie’s treasure (or maybe that’s just the movie “Goonies”?) But those require fancy building techniques, construction know-how, and, based on some of the documents I’ve read, a master’s degree in mechanical engineering. For our purposes here, we’re just talking about a standard house with an uncomplicated, plain old attic. One of the very first things they teach you in science class is that heat rises. But in homes without appropriate insulation and ventilation in the attic, heat migrates. For example, in the summer (or in places where it’s summer all the time like Las Vegas), the sun beats down on the roof, heating up the attic. The attic fills up with hot air and pushes the air down into the house, raising its temperature. And rarely is there enough time for the temperature to cool down overnight. So the more consecutive sunny days you have, the longer it will take for heat to dissipate. The first thing homeowners do when the house gets hot is turn up the AC or crank up the fans. The hotter the house gets, the harder we push the systems to run. This adds up in terms of costly electrical bills and maintenance on our systems. Meanwhile, because hot air is full of moisture, all that water hanging out in your attic is causing condensation to build up. Excess heat and condensation can cause major damage to your roof and roofing materials. Not only that, but they invite their friends mold and mildew to come live with you. All of that can lead to some pretty hefty repair bills. A well-ventilated attic can help minimize the potential for damage and unexpected cost. But it’s not as easy as going up and installing some vents and calling it a day. It takes some planning to get the ventilation system balanced just right. The goal is to have a uniform flow of cool air from the outside through the attic and out the exhaust, carrying the hot, moist air in the attic with it. If you don’t balance the flow, hot spots can develop and negate any of the potential benefits of your ventilation system. Think of it this way: On a warm, windy day, you open the windows in your home to get some nice cool air flowing through your house. The problem is, you opened all the windows and can’t feel any benefit of the cool air blowing around outside. You shut all the windows but one, and still don’t feel the wind. But if you open two windows on opposite sides of your room, the wind has a place to enter and exit, and before you know it, you have a great cross-breeze cooling off your home. The theory is the same for your attic ventilation system. You would think that venting an attic would be counterintuitive in the winter or cold months. Not so! While heat migrates in the summer (because your attic is acting as a giant pressure cooker), in the winter, the attic space is colder, allowing more room for the heat to rise and bring all that warm, cozy moisture with it. As we’ve learned, the biggest problem with not having proper attic ventilation is moisture. And if you don’t vent correctly, all that warm, wet heat is going to sit around and take up space in your attic. The more heat that seeps out into your attic, whether it’s through poorly sealed openings (things like recessed lighting or the attic entry) or through general physics, the cooler the rooms feel. When you get cold, you crank up the heat and continue the cycle. While you’re turning up the heat and complaining about the cold, all that wet hot air in your attic is getting shocked by the cold air in your attic. As the moisture condenses, it can buckle and pop the roof deck and shingles, or it can rot the wood, requiring you to rebuild the entire roof. Or the water can drip down into the insulation and seep through to the wood, causing the wood to rot or mold and mildew to collect. If you have the added complication of living where there’s snow, you could face the formation of ice dams. Ice dams form when heat loss from the attic melts the snow on the roof, and as the melting snow rolls down the roof, it refreezes in a large block at the roof’s eaves and gutters. This keeps happening until the ice dam is so large it prevents water from draining off the roof, forcing the water to instead collect in the shingles and under the roof materials. But if you have adequate ventilation, the cool dry air comes in from the outside to help that warm, moist heat escape the attic. Additionally, proper ventilation can help keep your attic an even temperature to avoid hot – or cold – spots to keep ice dams from forming. Regardless of where you live, the goal of venting your attic is to get rid of all that wet, hot air hanging around up there where it could cause some serious damage to your home – things like a broken roof (expensive) or a serious mold and mildew problem (expensive and gross). Ultimately, if you want to keep your house warm in the winter and cool in the summer, you should first look to your attic. Having proper roof ventilation – and insulation – can help preserve the roof of your home and keep your electric bills low.